This image came about talking to my friends about the Marvel Cinematic Universe, like you do, and one of them was enamored of it enough to commission it! 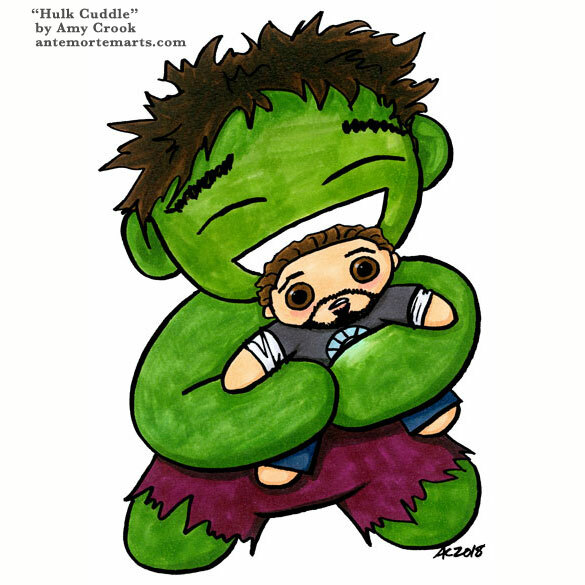 I’m especially fond of tony’s wide-eyed look of dismay and Hulk’s upside-down frown of pure joy. My commissions queue is CLOSED right now and probably will be into next year, so if you were looking to get something, er, ever, you might want to get on the wait list.